Who were Slocum’s 12th Corps division commanders? Brig. Gen. Thomas H. Ruger (1833-1907), covering for Williams. Which of Slocum’s division commanders have park avenues named after them? Williams Avenue is on the southwest slope of Culp’s Hill. It connects Slocum Avenue to Wainwright Avenus in Stevens’ Knoll. Geary Avenue is south of Culp’s Hill summit. It connects Spangler’s Spring to Pardee Field and Slocum Avenue near Williams. 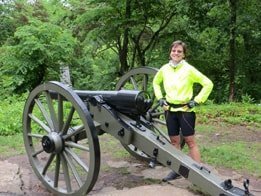 Which of Slocum’s division commanders have statues at Gettysburg? 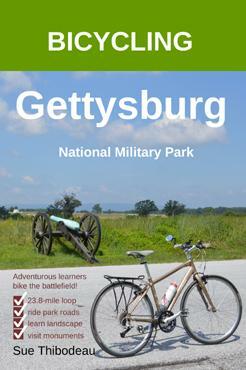 What symbol identifies the 12th Infantry Corps on Gettysburg monuments? Who commanded the Union 12th Corps? Maj. Gen. Henry W. Slocum (1827–94) – Outranking Howard, Slocum took charge of the army until Meade arrived. Slocum then retained operational control of the Union right near Culp’s Hill. Who were Williams’ 1st Division brigade commanders? Col. Silas Colgrove (1816–1907), covering for Ruger. Colgrove Avenue connects Baltimore Pike to Spangler’s Spring in the Culp’s Hill area. Who commanded the 1st Division, 12th Corps? Brig. Gen. Alpheus S. Williams (1810–78), until July 2.
Who commanded the 1st Brigade of Williams’ Division? Who commanded the 2nd Brigade of Williams’ Division? Who commanded the 3rd Brigade of Williams’ Division? Who were Geary’s 2nd Division brigade commanders? Who commanded the 2nd Division, 12th Corps? You will find a bronze statue of Geary at the intersection of Williams and Slocum Avenues on the ascent to the summit of Culp’s Hill. 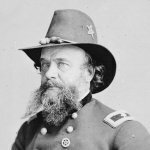 Who commanded the 1st Brigade of Geary’s Division? 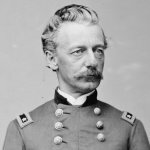 Who commanded the 2nd Brigade of Geary’s Division? 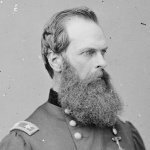 Who commanded the 3rd Brigade of Geary’s Division?